Stories of life inside San Quentin from the prisoners themselves. I listen to a lot of podcasts on my commute to work. Usually, they're about topics I already know I'm interested in and want to learn more about, like spirituality, basketball, or philosophy. And then there's Ear Hustle. Ear Hustle is about daily life in prison. The Ear Hustle logo (Ear Hustle)It's made by inmates at San Quentin, and a volunteer from the 'outside'. I don't even remember how I came across it, but from the first episode, I was captivated. 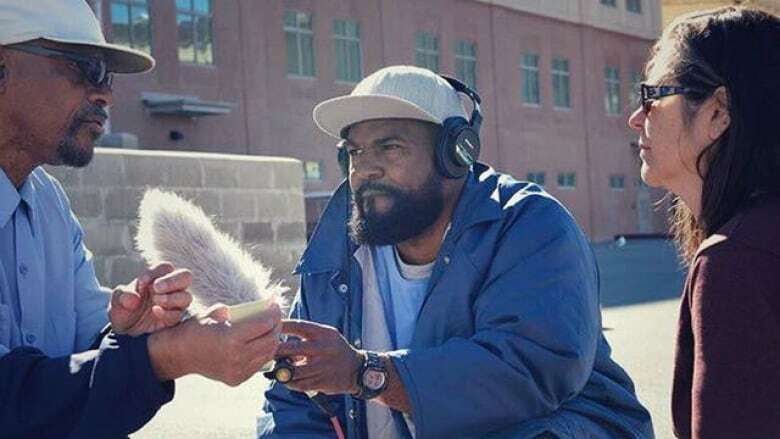 The term 'ear hustle' is prison slang for eavesdropping, and the aim, as they say in their theme, is "to take you inside" through interviews with other inmates. 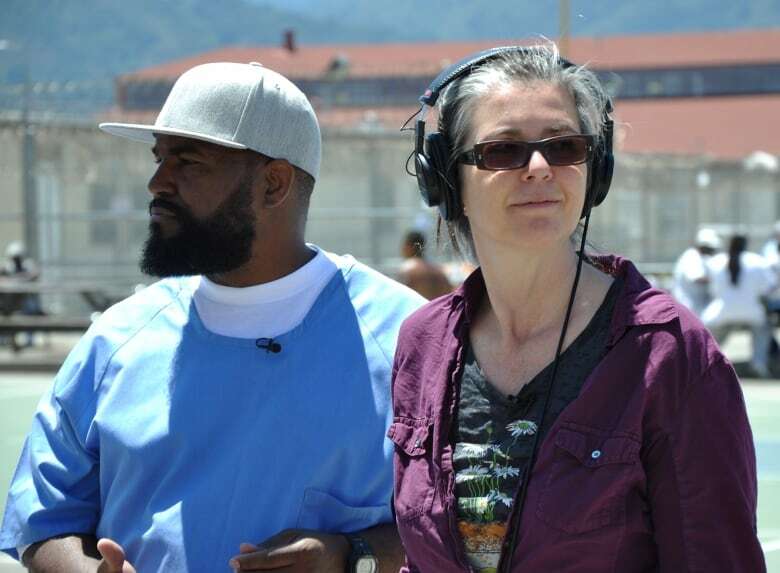 The sound design is beautiful, the stories challenge my presuppositions, and the show brings the culture -- and the reality -- of prison to life. What I appreciate most about it, though, is how universal it is. Yes, the situation is extreme, but the questions the show grapples with are so fundamentally human. How do you stay hopeful when things are beyond your control? What is forgiveness, and how do you move on with your life? How much do, or should, our past actions define us? But the reason I wanted to profile Ear Hustle on Spark, is the way it uses technology -- old and new -- to build bridges. Even though Ear Hustle is fully digital (it has a website, FB page, Instagram and Twitter) prisoners in San Quentin can't use the internet. Co-hosts, co-founders, and co-producers Earlonne Woods (left) and Nigel Poor (Ear Hustle)Co-host and co-producer, Nigel Poor is an artist who volunteers at the prison. Because the rest of the Ear Hustle team doesn't have access to the internet while in prison, Poor shares listener reaction using the analog technology of paper. "I share as much as I can with the men inside," said Poor. "I print out comments from Instagram, or Twitter, or from our Facebook account, and emails, and I get those cleared by [Public Information Officer] Lieutenant Robinson. And then I bring it in and share it with the guys," Poor added. "It's just an old fashioned kind of share, meaning that we do everything on paper." Podcast listeners have sent thousands of postcards to Ear Hustle. Earlonne Woods, who hosts and produces with Nigel, and is co-founder of the podcast, sees a common thread. "The one thing that most of the letters say is that we've taught them something," Woods said. "Some people are like 'hey man, either I never really thought about prisons, or I thought about prisons in this way, but through your show, it has opened me up to a whole different point of view," he added. "What you've taught me has helped me move on with my life. The humanity aspect." Another way social media helps build bridges between inside and outside is by posting photos of the inmates in and their stories on Instagram. "The family members of the guys inside go on it, so they can see the pictures, and I'm sure they talk to their loved ones inside and tell them about what they're seeing too," Poor explained. "So it's not just about connecting with people who don't know anything about prison." Reflecting on what the podcast has been able to achieve, Woods said "we sat down and we created something that really just took people by surprise...There's an elation that comes with that. A humble elation". Internet plus: Now everything can be hacked!